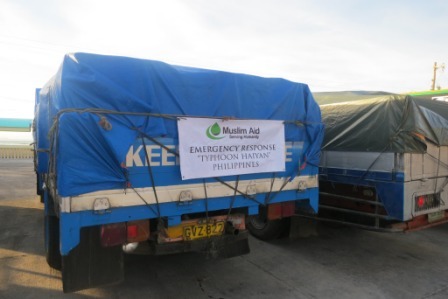 Muslim Aid is thankful to all those who have generously donated to its typhoon Haiyan Appeal. With this donation Muslim Aid has provided essential aid to the affected people. 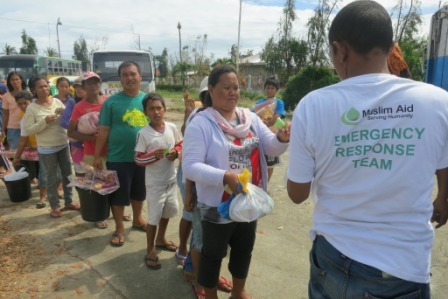 Muslim Aid started distributing food and non food items, clean water, non food items, kitchen utensils and hygiene kits in partnership with a local organisation in Bantayan Island, which is one of the worst-hit islands in the Philippines. Students from San Carlos University volunteered to help in packing the relief items. 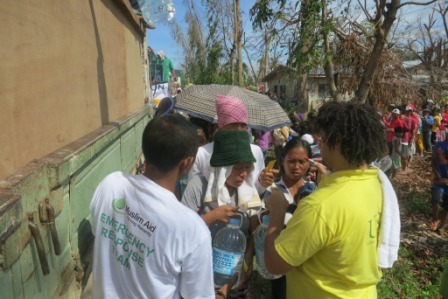 Muslim Aid has so far helped around 2,500 individuals in 3 villages within Bantayan Island. 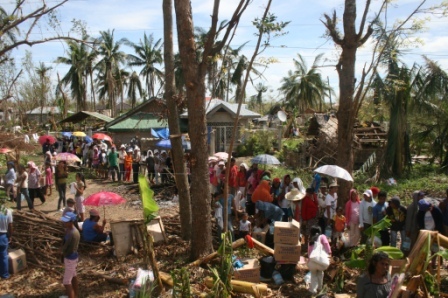 Muslim Aid team on the ground reported that with support from the local government and the volunteers, the team was able to distribute relief items effectively and efficiently.